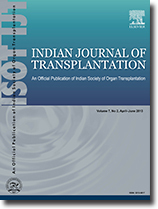 A renal transplant recipient presented with acute onset paraplegia. Evaluation showed acute epidural hematoma and a diagnosis of spontaneous spinal epidural hemorrhage was entertained after excluding other etiologies. Within 8 h of initial symptoms, he underwent decompressive laminectomy and hematoma evacuation. However despite our best efforts, his neurological improvement has been disappointing.